Another music legend has joined the line-up for November’s historic Pathway to Paris Concert for Climate Action in New York. 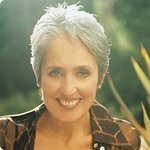 Singer, songwriter and activist Joan Baez will perform along with Patti Smith, Michael Stipe, Flea, Talib Kweli, Cat Power and more. The news was confirmed at the United Nations today, during a press conference to preview the concert. 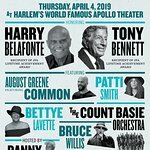 The concert, set to take place at New York’s Carnegie Hall, will also feature speeches and musical performances from Bill McKibben, Dr. Vandana Shiva, Tanya Tagaq, Tenzin Choegyal, and Pathway to Paris founders Rebecca Foon and Jesse Paris Smith. The role of cities in reducing carbon emissions and tackling climate change will be also be front and center at the concert, where Pathway to Paris will unveil further details on the 1000 Cities initiative. The concert will be the third – and largest – collaboration between Pathway to Paris, 350 org and UNDP on climate action – the first coinciding with the adoption of the Paris Agreement in 2015. Since then, the partners have committed to maintaining momentum and encouraging action. The Pathway to Paris Concert for Climate Action will be held on November 5, 2017, at New York’s Carnegie Hall – the day before the global COP23 climate conference in Bonn, Germany. Tickets for the concert, can be purchased here.